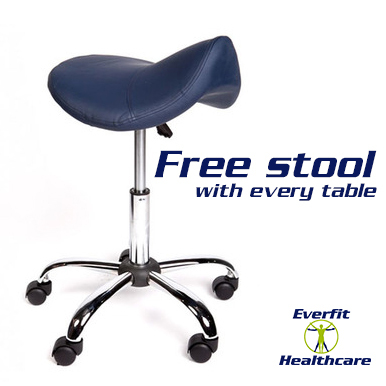 Everfit Healthcare providing top quality products at affordable prices for the professional and the public. Everfit tables are designed using modern engineering techniques and manufactured from the finest materials to the highest standards! The Everfit Neuro table is perfect for both general use and in the area of rehabilitation, with generous 120cm width & 3 face holes this table allows comfort and easy dual access for practitioner and patient. With an electric hi/lo motor, 300kg weight rating.